It is said that long time ago there were only nine families in Jiufen. Before the roads on land were built, all materials were transported via ships. Thus a habit was formed that nine pieces of same object were purchased at one time for reservation. Hence, the place was called Jiufen. Jiufen used to be the center of gold mining. It is located within the hills in northeast of Taiwan. The village is next to the mountain and facing the sea. In 1890, someone struck gold near Jiufen. The poor village with only nine families soon attracted prospectors of 4,000 families. The village once was gold city of Asia and called little Shanghai or little Hong Kong. 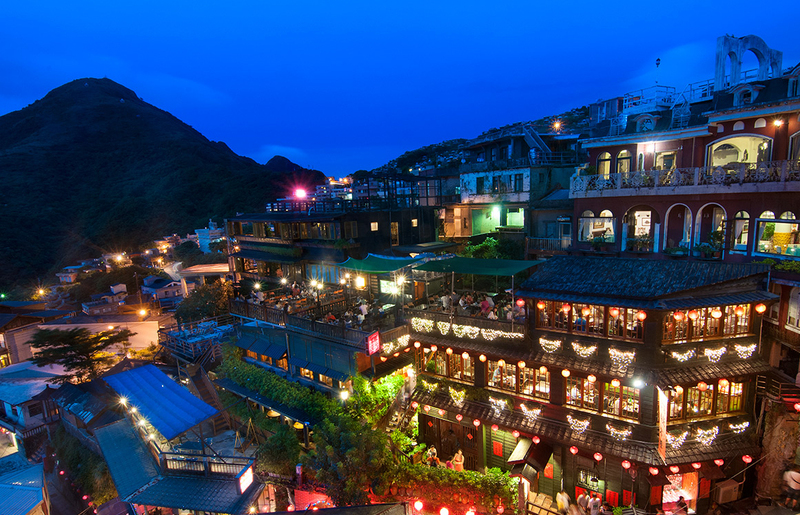 However, with the decline of gold mining activities, Jiufen fades. Later, several movies chose to shoot here and the movies won international acknowledgement. For example, the film "A City of Sadness" has won first prize in Venice Film Festival and awakened people's memory of Jiufen. It seems that the prosperous old streets, buildings, mines and the glamorous gold digging days are flashing before our eyes. The place is whispering its golden past. Now, there are many unique teahouses in Jiufen. 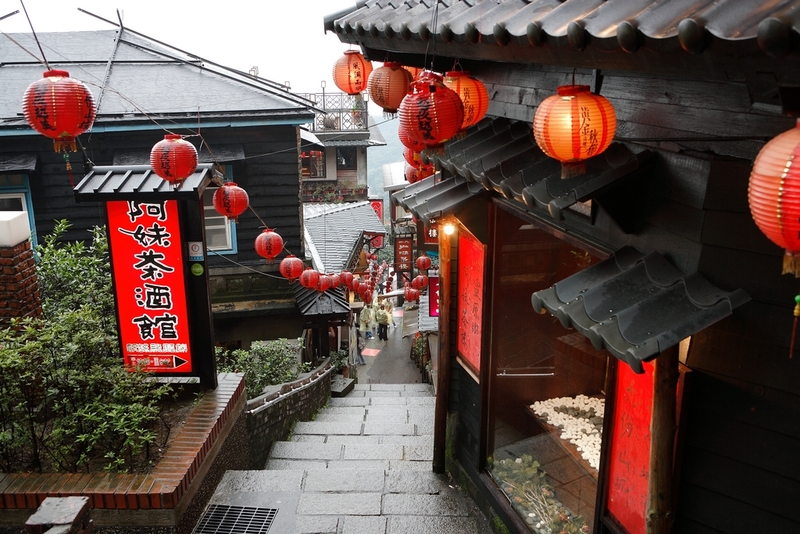 These teahouses are best stops during visit to this mountain village. Also, there is the beautiful ocean view of Keelung outer sea. 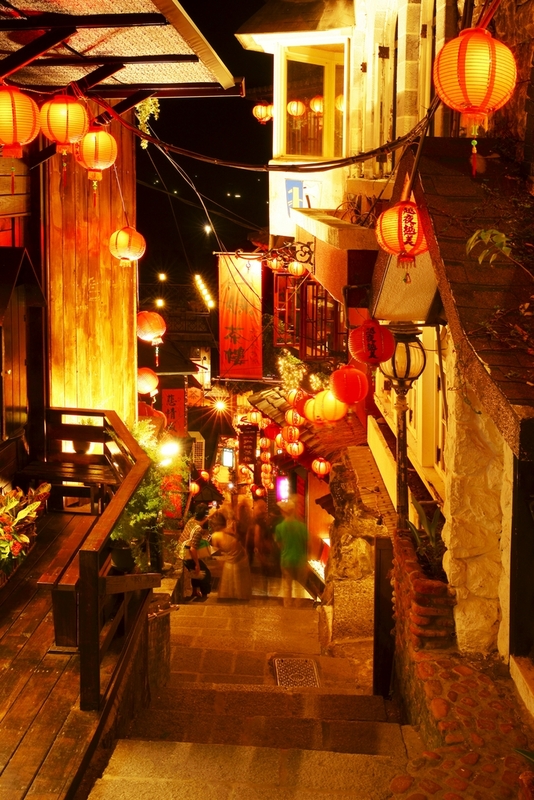 The most prosperous shopping district is Jiufen Old Street. It goes through most of the village. There are many visitors on the street. 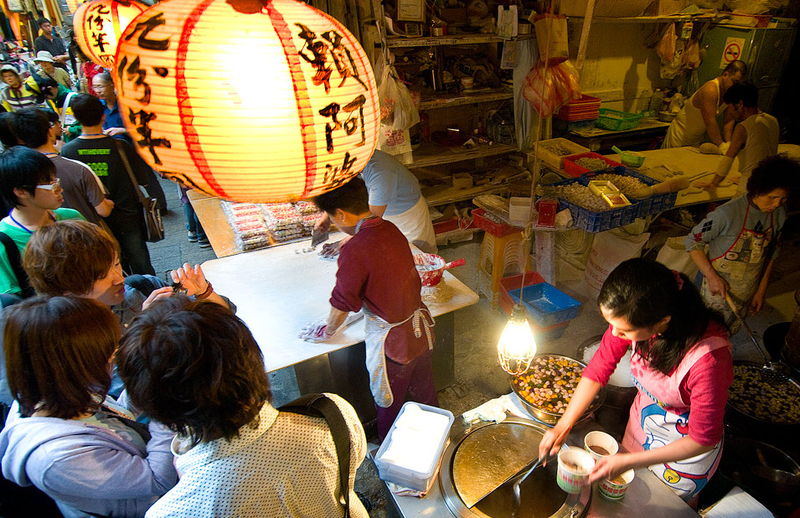 Along the street there are shops vending the most famous country snack of Jiufen, yam dish and various local dishes. There are some historical items well reserved. 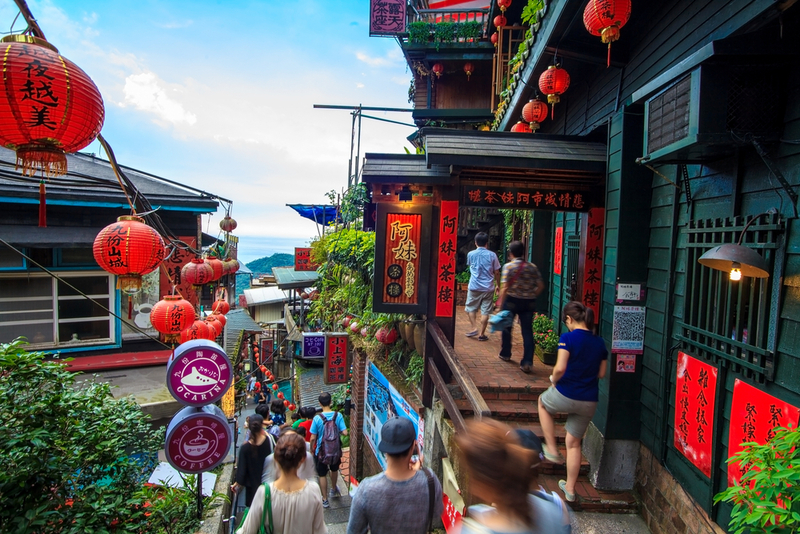 The trip to Jiufen is full of fun and delights. Jiufen has many accommodation places provided by local residents. If you were not in a hurry, you may want to pick a nice inn and stay for the starlight and fishing lights at night.